The man is believed to have lived around 375-210 B.C. One theory is that he died as a religious sacrifice with the rope used to strangle him still visible around his neck. 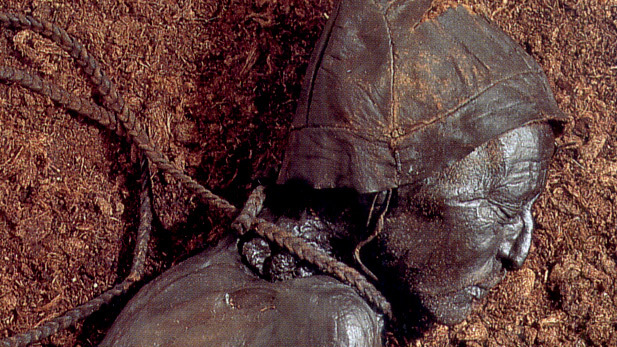 "Tollund Man is a naturally mummified corpse of a man who lived during the 4th century BC, during the period characterised in Scandinavia as the Pre-Roman Iron Age. 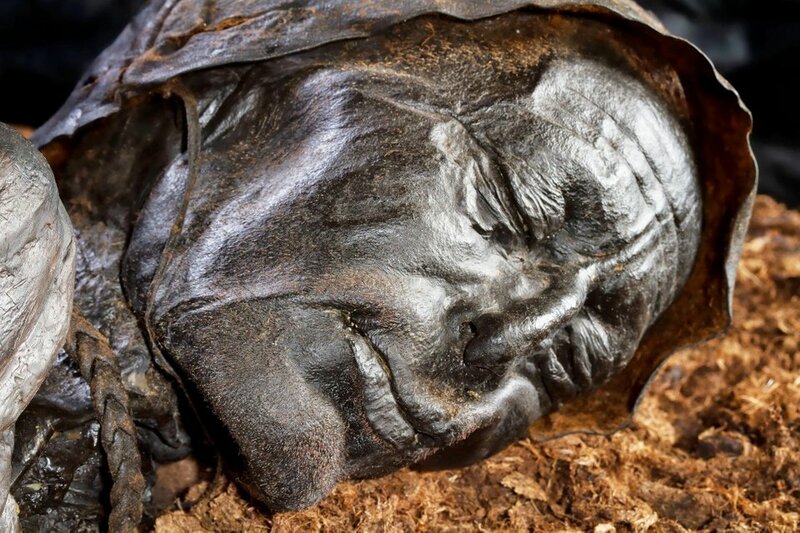 He was found in 1950, preserved as a bog body, on the Jutland peninsula. The man's physical features were so well-preserved that he was mistaken at the time of discovery for a recent murder victim. Twelve years before Tollund Man's discovery, another bog body, Elling Woman, had been found in the same bog.